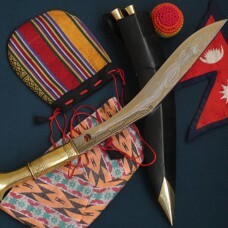 This kukri is also truly work of art and one of the best products of Nepalese Khukuri House. 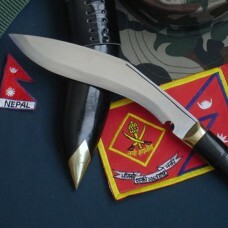 Bhojpure Khukuri is slightly bigger and heavier than the service No. 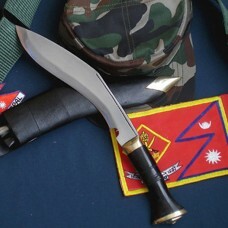 1, the standard blade Khukuri. This knife is come from Bhojpur, which place is most famous only it’s Khukuris. 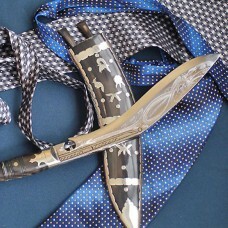 This is the most famous Khukuri among all. 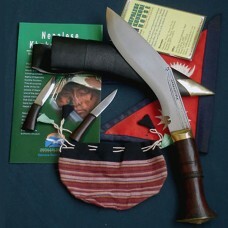 The Bhojpure Khukuri is a must for most Nepalese to keep it at home. This is not military issue. The handle of this knife is made of Buffalo horn or wood while the scabbard is that of Buffalo leather covered cotton-wood. The blade is 11" long and measures 15.5".This knife weighs 775 grams. 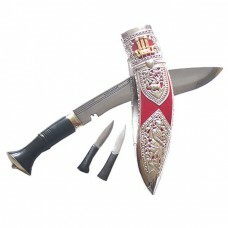 We make two kinds of Bhojpure Khukuri with engraved or plain on the blade. 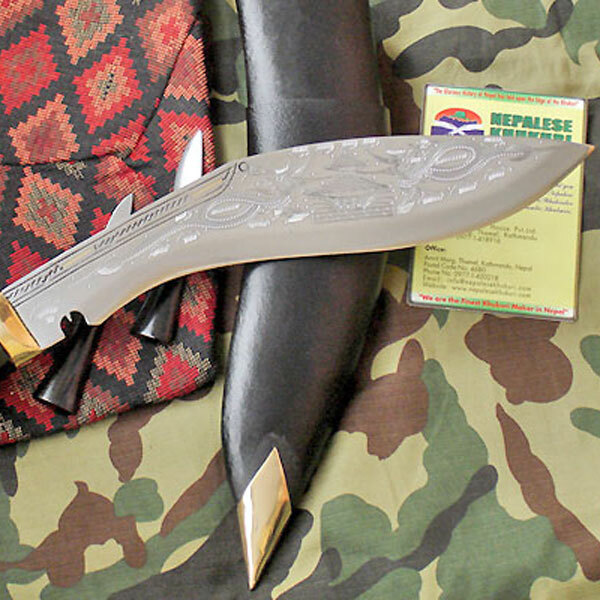 This is gradon blade Bhojpure Khukuri (See picture) There is beautiful engraved with Dragons, Temples or figures of gods on the blade of Bhojpure Khukuri. The total shipping weight including display wooden stand with packing will be 1.5 kg. Stock: We maintain this product all the time 100 pieces in our stock for online sale. Complimentary: Buy Service No. 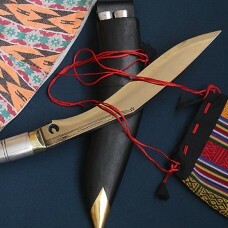 1 Kukri + Get Khukuri maker DVD Video absolutely FREE!!!!!!!!!! This offer is not included on discount price. This is one of the best models amongst other Kothimora products. This is made for the retiring Gurkh..